This lovely Summer Escape crocheted skirt is a must-have in every lady’s wardrobe staples. The fun and beautiful piece is perfect to wear on a girl’s day out. Pair this charming crocheted piece with a simple top and you are all set! In fact, this pattern is a great project for intermediate crocheters to work on. The pattern includes detailed written instructions for six different sizes: Small, Medium, Large, XL, XXL and XXXL. In fact, you can access the FREE pattern for this beautifully crafted crocheted skirt from their website. 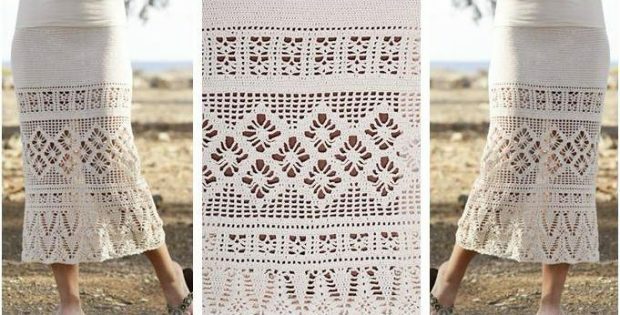 To access the FREE pattern for this gorgeous crocheted lace wear, please click on this link: Summer Escape Pattern.